Leaked details are always officially unofficial. Until they're official. The all-new . It’ll have its official live debut this November 27 at the Los Angeles Auto Show, according to newly leaked information obtained by the very reliable . 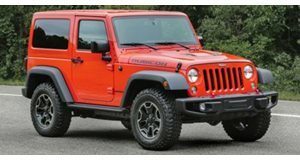 , for the two- and four-door Unlimited models, respectively, the first 2019 Wrangler will roll off the production line in Toledo, Ohio, on November 13. It’s slated to be an Unlimited hardtop model powered by the 3.6-liter V6 engine. On December 11, the first Wrangler Unlimited soft and dual tops will be built. Production will be in full swing by the first of the year and will continue at a rapid pace. However, the first two-door Wrangler won’t be built until February 12, the same day when the first 2.0-liter turbo four-cylinder engined Wranglers get underway. And then, on March 31, the final JK Wrangler, the current generation model, will be produced. Now, this is in contrast to an earlier report claiming Jeep intended to build both generations side-by-side for about a year, re-branding the older model "Wrangler Classic." This latest information seems to indicate that plan has now changed. We also recently learned the new Wrangler will be offered with a power top. If that’s something for you, you’ll have to wait until springtime to get one, as that feature won’t begin production until May 14. 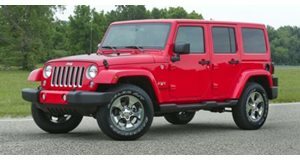 Anxious to get a diesel Wrangler? No worries, Jeep will offer a 3.0-liter diesel V6 in both two- and four-door versions, but you’ll have to wait until next August for it. It’s entirely possible some of these dates could change. Or maybe they won’t. In any case, we expect the first new Wranglers to go on sale in late December or early 2018.